NYC Recession Diary: Salman Rushdie: Book Signing in DUMBO Tues. 11/16! Salman Rushdie: Book Signing in DUMBO Tues. 11/16! If you're anything of a bookworm, or keep up with celeb gossip, you know who Salman Rushdie is. Come see the author of Midnight's Children, or to others-- Padma Lakshmi's (of Top Chef) ex, at powerHouse Bookstore in DUMBO Tuesday, November 16th, from 1 to 1:30PM! He will be signing copies of his latest book, Luka and the Fire of Life. 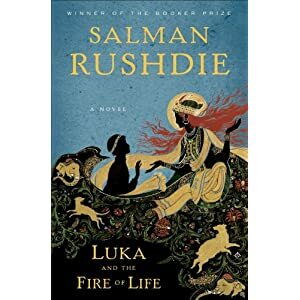 Luka and the Fire of Life is about a young man on an Odyssey-like adventure with his friends Bear (a dog) and Dog (a bear). Luka's aim-- to make it past all obstacles, steal the Fire of Life and save his father.